Surf Cabo like a Pro! We'll get you to the best surf points. Take advantage of Cabo Surfer Knowledge and surf perfect spots. Getting their way around the Baja in Mexico can be tricky for some tourists, if you are one of those people that wouldn’t want to worry about knowing how to get to the perfect spot, safety measures, knowing how the point break works, speaking Spanish or things like that, then simply let Cabo Surfer guide you and show you the wonders Cabo has to offer to their surfers. Our Surf trips suit any surfer from beginner to experienced, we’ll pick the right point break depending on your surf style and experience. Grab your surfboard and live a custom Surf experience with Cabo Surfer’s private trips. Our surf tours are carried out by Cabo Surfer professional instructors who have been surfing Cabo Baja California for more than 10 years and know pretty much every secret in the local area, booking an trip with us will put years of knowledge and experience at your disposal and will assure you the best conditions for some happy surfing. Even if you are an experienced surfer our knowledge will keep you safe, an instructor will show you how to get into the water (and stay there with you), he will teach you stuff every surfer must know about the spot he’s exploring like the swells, if it’s a beach break, point break or reef break, etc. Cabo Surfer is a serious company meeting instructor certification criteria. 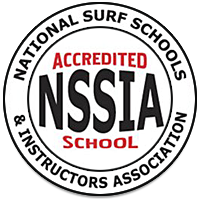 We have an NSSIA Certification Training Course that covers concepts like educational techniques, quality surfing instruction programs, proper gear and water safety measures among other things. 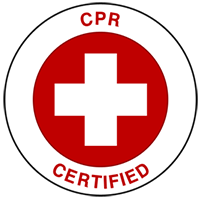 Further more our surf instructors are CPR and First Aid certified, in case of any eventuality they will decide the best course of action prioritizing always the surfer’s safeness, therefore as we in Cabo Surfer like to say: our customers are always in good hands. All year round happy surfing in Cabo! From May to November the swells arrive to the Cortes Sea and bring with them a lot of surfing adventures in different locations, let us take you to some hidden and local spots and live the true baja surf experience. From November to May surfing moves from the Cortes Sea to the Pacific side, so trips are made every day to different point breaks near cerritos and Todos Santos, book one and taste some cabo surfing flavors. Ready to make this wave yours?